(Note: There is a $3/registration non-refundable processing fee). Mastercard/Visa/Discover/American Express accepted. Please select the event or events you would like to play in. For mixed doubles events, ratings between partners may not vary more than 1.0. There is a $3/entry non-refundable processing fee. Fee includes additional fee for long sleeve t-shirt (if requested) and $3 Processing Fee. Players must provide payment info to enter. 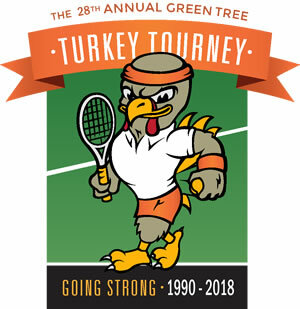 I hereby release Green Tree Tennis Club, Blossom Tennis Center and its' employees and staff of all responsibility in the event of accident or injury. I also consent to emergency medical or hospital services that may be rendered at designated hospitals by appointed physicians in the event such need arises in the opinion of a duly licensed physician.